Justice U.P. 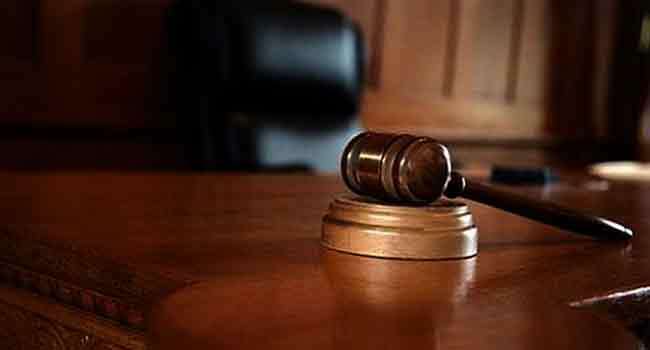 Kekemeke of the Federal Capital Territory (FCT) High Court, Apo, has adjourned the trial of a businessman identified as Ighodaro Austin Osaretin to May 5, 2018. The suspect is being prosecuted by the Economic and Financial Crimes Commission (EFCC), for allegedly duping innocent Nigerians of the sum of $328,974.37. The EFCC in a statement signed by its Head, Media and Publicity, Wilson Uwujaren, said Osaretin allegedly duped Nigerians in a fake business deal that happened between March and November 2015. “He placed an advertisement on www.unaedi.org.ng supposedly belonging to Universal Agricultural Empowerment and Development Initiative, using same to swindle prospective investors, into parting with over $328,974.37 under the pretence that his organisation specialised in marketing goods and services globally. He was first arraigned on April 9, 2018, on a one-count charge of fraud,” the statement read in part. He pleaded “not guilty” to the charge when it was read to him. Subsequently, Justice Kekemeke fixed April 16, 2018, to hear his bail application. He was granted bail in the sum of N10 million and two sureties in like some, who must not be below the position of an assistant director in the Federal Civil Service, and who must possess landed properties.